When we speak of photovoltaic consumption we refer to a recent and important step towards a new energy model. In Shop-solar, conscious by saving energy, we have always been committed to new energy models, so we propose a catalog of products related to renewable energy, which in turn represent a change in the way it produces and consumes electricity in our homes and even nationally. The photovoltaic consumption is a balance in energy savings based on the particular electricity in our homes, businesses and neighborhoods, ultimately. The continuous increase in electricity demand is a constant prevalent around the world, taking into account the availability, cost and sustainability of energy resources have caused instability and deficits in the energy supply in recent times. To this environmental damage, which have proved alarmingly the need for a new global energy model are added. In this sense, the photovoltaic consumption has emerged as an alternative renewable and sustainable future, and at the same time efficient and economical. Energy consumption facilities are reliable and durable, well structured based on professional experience and level of education. If we appreciate the photovoltaic consumption is cheaper than conventional energy, then it understands the need for disclosure and use of the various tools for sustainability. For example, solar kits are constituted by photovoltaic panels that, by solar radiation, are capable of producing electricity in the form of direct current, which in turn can be converted into alternating current to direct employment in our homes, businesses, etc. . Shop-Solar announces new photovoltaic kits at bargain prices as part of their introductory offers. Bet for saving tools concerning sustainable energy, which are presented separately or together (called kits). For example, a solar kit for isolated lighting systems consisting of a solar panel, a battery and a regulator is offered with discounts of 15-50%. 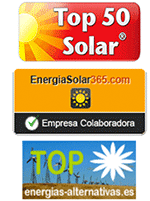 PV solar panels, solar panel mono / polycrystalline turbines with / without hybrid regulator, the Trojan and monoblock batteries and solar controllers or regulators are included in this special offer Shop-sharing site, along with expert advice. The perspective offered store-solar supports the sustainability of our future in full, for a renewable world and support the economy in our homes and businesses. A course of action is vital in modern times to improve efficiency in electricity networks, from an internal search. The production of photovoltaic energy regulatory symbolizes a new level in the electrical behavior and leads to new and better energy potential.